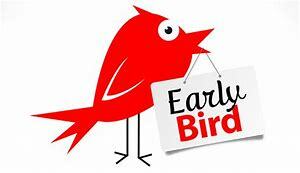 Our SPRING 2019 Classes are posted and EARLYBIRD Pricing is in effect until March 18th only! Don’t Miss out!! 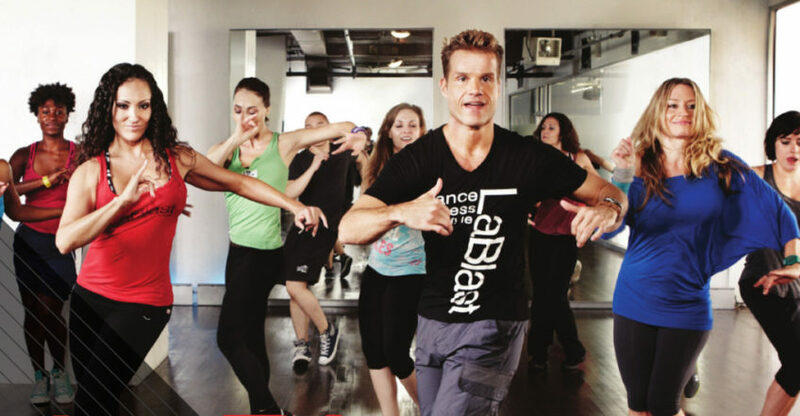 Canadian Step Dancing – Zumba – Line Dancing – Stretch and Sculpt – Ballet – Tap and more! 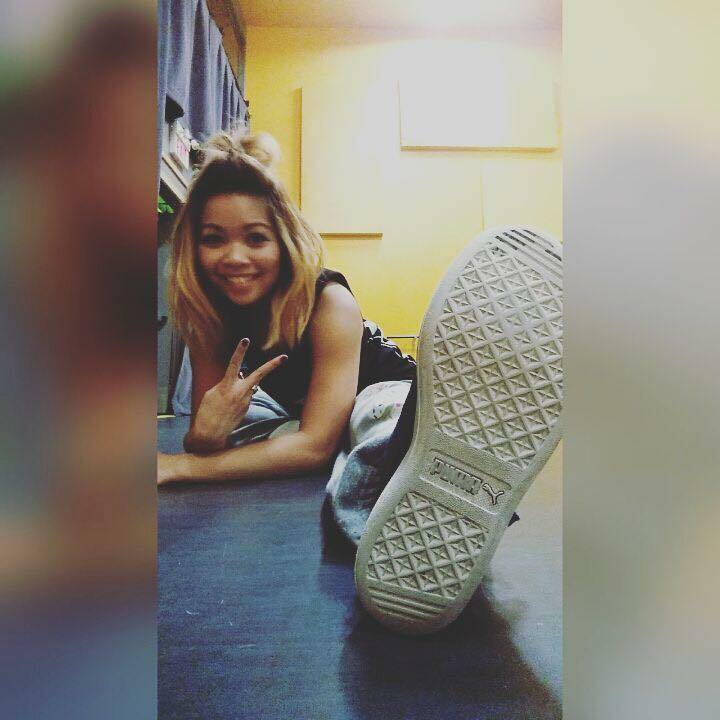 KEEP CALM AND HIP HOP – WORKSHOP NOV 23RD! Swinging Stampede Line Dance Workshop! 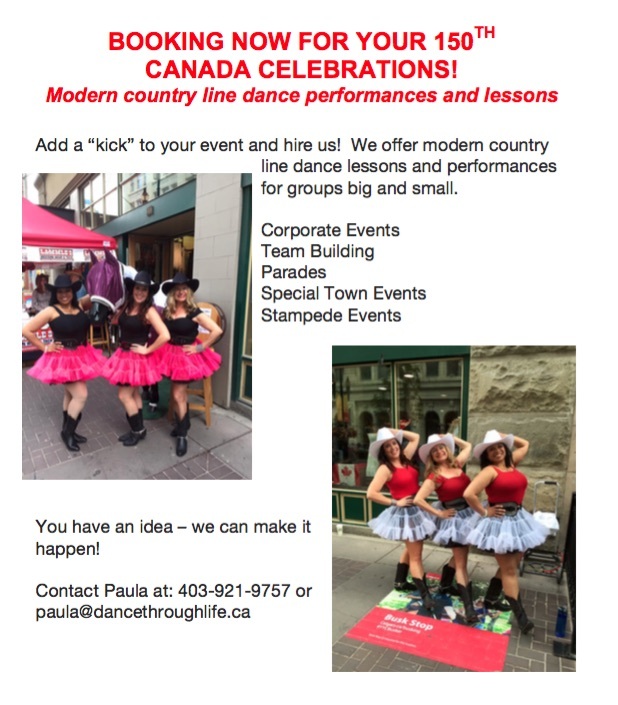 Booking for Canada 150 Events and Stampede! 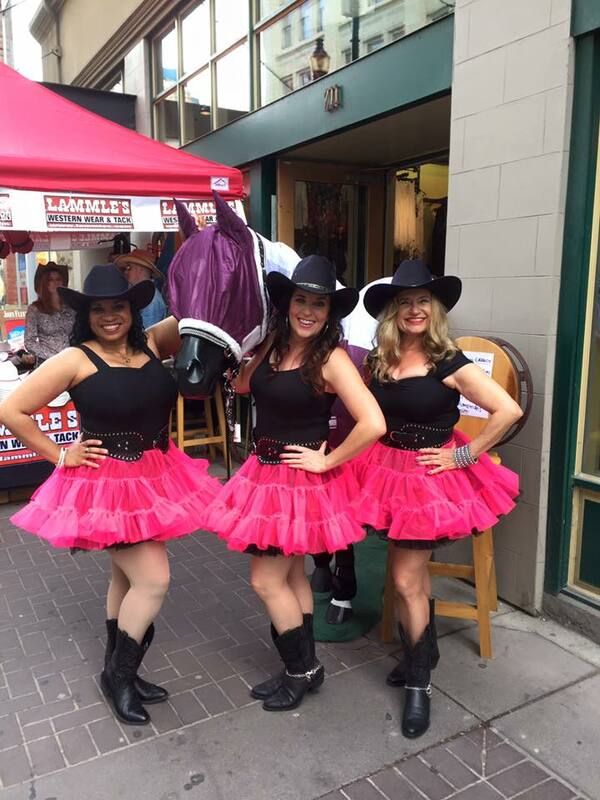 We are booking now for Canada 150 Events and Stampede! Offering modern country line dance lessons and performances. 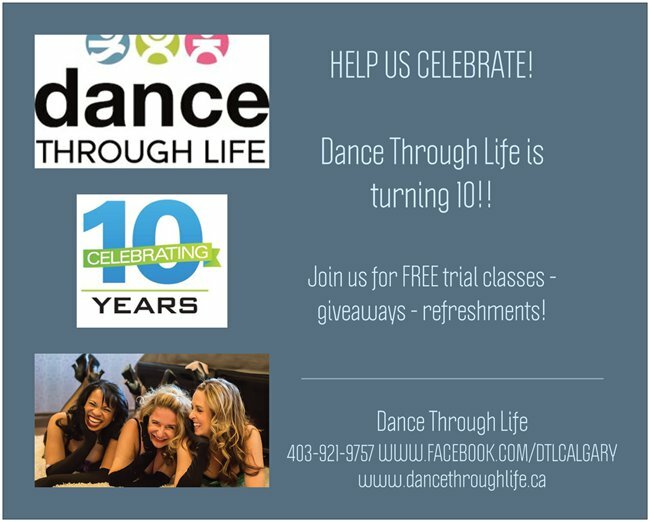 Contact Paula at paula@dancethroughlife.ca for more details! NEW YORK NEW YORK – SHOWGIRL BURLESQUE WORKSHOP! 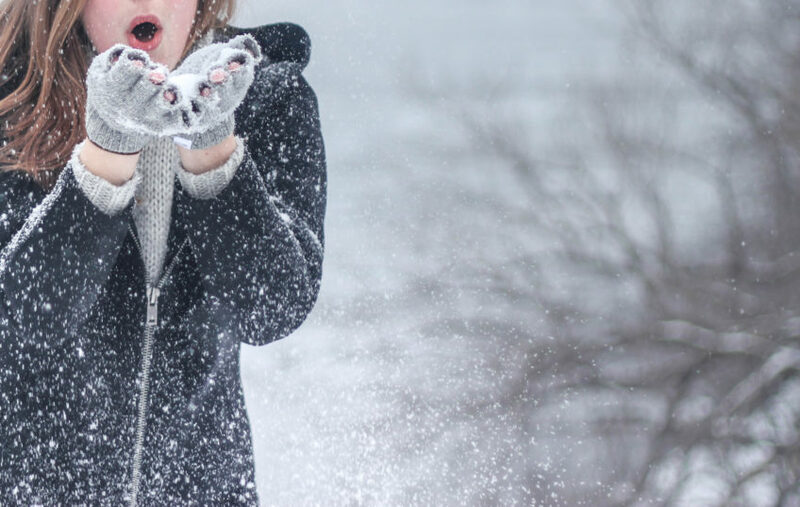 The Winter 2017 Session starts JANUARY 9TH!